Just Drift – April Drift sesion and Open Clinic! JUSTDRIFT | admin March 28, 2013 | Comments Off on Just Drift – April Drift sesion and Open Clinic! 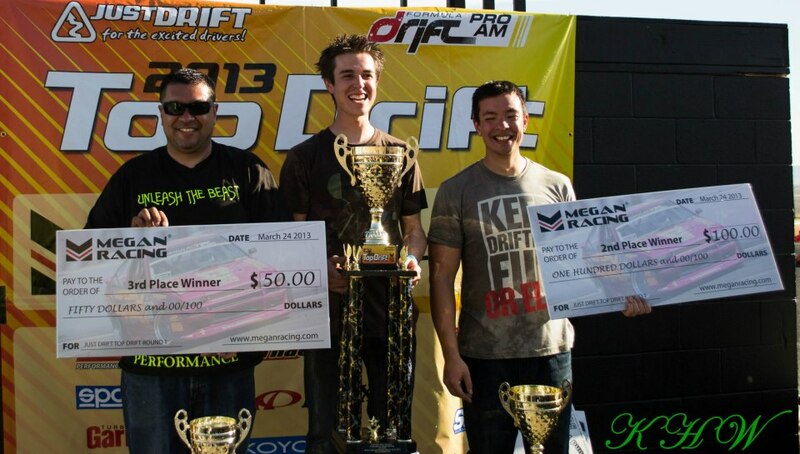 Congratulations to the TOPDRIFT RD1 Winners! I know everyone is excited to see how they stack up in qualifying. Here’s the raw qualifying score – Don’t forget that the final standing changes after the TOP 16 tandem round. Depending on who made it and who didn’t. But below Top 16 does not get affected. The change in the final standing only affects the TOP 16 tandem elimination competitors. JUSTDRIFT | admin March 24, 2013 | Comments Off on Congratulations to the TOPDRIFT RD1 Winners! The deadline for all the drivers to submit their entry with custom door plates with your own number is this Friday March 15 – 2013. While registration “MIGHT” open until Tuesday but your door plates will not have name and custom number.